NEW YORK, NY--(Marketwired - Aug 13, 2013) - As the AL East pennant race heats up, Kyle Cook, lead guitarist for Grammy-nominated superstars Matchbox Twenty is set to ignite the crowd at Oriole Park at Camden Yards when the Baltimore Orioles battle the Tampa Bay Rays on Monday, August 19, 2013 scheduled to start at 7:05pm. Kyle Cook will be ready to rock the National Anthem when he performs his rendition of the now famous electric guitar instrumental of the "Star Spangled Banner" to open the evening. The National Anthem performance is scheduled to air live on the Orioles Radio Network and on MASN (Mid-Atlantic Sports Network) for listeners and viewers in Maryland, Washington, D.C., Delaware, North Carolina, Pennsylvania, Virginia and West Virginia. Matchbox Twenty fans can Enter to Win two (2) lower box seat tickets and a pregame meet and greet with Kyle in the Kyle Cook Anthem Sweepstakes! Five (5) lucky winners will be announced. Plus, the Orioles have a special offer for Matchbox Twenty fans! Simply use the coupon code MB20 when purchasing tickets to this 8/19 Orioles home game and receive a 20% discount. Matchbox Twenty is currently on a full scale summer tour in support of their #1 selling album "NORTH" which features the hit singles "She's So Mean" and "Our Song" and will follow up the stop at Camden Yards with a SRO concert at the Wicomico Civic Center in Salisbury, MD on Tuesday, August 20th. 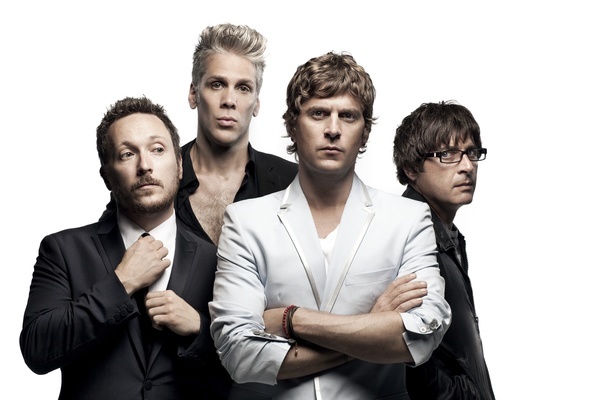 In addition to more than 30 million records sold worldwide, Matchbox Twenty has also earned countless accolades, including five Grammy nominations, four American Music Award nods, the 2004 People's Choice Award for "Favorite Musical Group, and they were named "Best New Band" in the 1997 Rolling Stone Readers Poll. The contest from the above press release has come to a close, and we are happy to announce the winners!